Colorado School of Mines has been recognized by the National Center for Women & Information Technology (NCWIT) for its work to increase meaningful participation in computing education among women. The Mines Department of Computer Science is the grand prize recipient of the 2019 NCWIT Extension Services Transformation (NEXT) Award, the nonprofit organization announced. Powered by NCWIT with support from a private donor, the NEXT Awards honor undergraduate academic departments who have demonstrated outstanding achievements as clients of NCWIT Extension Services, a program that helps academic computing departments develop high-impact strategies for recruiting and retaining more women students with advice that is customized to local needs and conditions. Women earned 57 percent of all undergraduate degrees in the U.S. in 2016, but earned less than one-fifth of all computer and information sciences undergraduate degrees (www.ncwit.org/bythenumbers). Academic departments can change the gender imbalance of their student body through deliberate efforts directed at the local system that creates and maintains gender imbalance. At Mines, Computer Science has only been an independent academic department since 2016, and its faculty, led by Dr. Camp, are already making significant in-roads in the recruitment and retention of women. Signature initiatives include the women-led K-12 outreach program DECtech, industry partnership program C-MAPP, CS+X degree flexibility and U-CLIMB, a near-peer mentoring program where undergraduate teaching assistants are trained to be inclusive of all students. The results are evident in the numbers – the number of women majoring in CS has more than sextupled in 10 years, at the same time as the department has seen overall enrollment more than triple (from 157 students to 540 students). Women students are sticking around, too – the department’s attrition rate is now the same for men and women at 2.5 percent (compared to 12 percent for women in 2012). 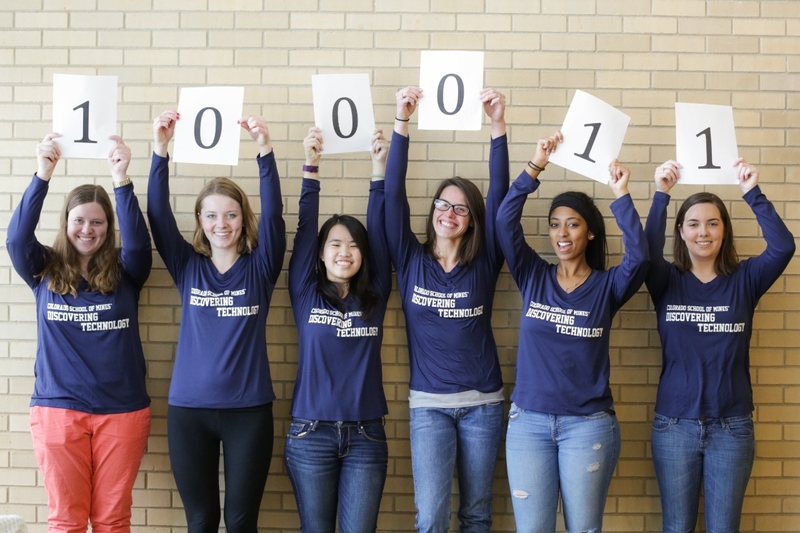 As the Grand Prize recipient, CS@Mines will receive $100,000, with part of that funding to be used to create inclusive and welcoming gathering spaces for CS students. Past winners include the University of Illinois at Urbana-Champaign; University of California, Irvine; and University of Washington. Colorado School of Mines is a public university focused on science and engineering, dedicated to educating and inspiring students, advancing knowledge, and innovating to address the great challenges society faces today — particularly those related to earth, energy and the environment. Founded in 1874 with specialties in mining and metallurgy, Mines’ scope and mission have expanded to meet the needs of industry and society, producing distinctive graduates and revolutionary innovations, and becoming a world leader in advancing sustainable use of the Earth’s resources. Learn more at mines.edu. Each NEXT Award recipient is a client of NCWIT Extension Services – a program that connects academic departments (“clients”) with expert Extension Services Consultants (ESCs) and Extension Services staff to craft high-impact reform efforts for recruiting and retaining more women in their programs. Consultants and staff provide clients with guidance on identifying opportunities and allies, utilizing strategic approaches and resources, and building assessment plans to evaluate progress. Diverse institutional clients nationwide work to achieve quantifiable results such as increased enrollments, declared majors and graduation rates for women students in computing. Find out more at www.ncwit.org/extensionservices. The National Center for Women & Information Technology (NCWIT) is a nonprofit community of more than 1,100 universities, companies, nonprofits, and government organizations nationwide working to increase girls’ and women’s meaningful participation in computing. NCWIT equips change leaders with resources for taking action in recruiting, retaining and advancing women from K–12 and higher education through industry and entrepreneurial careers. Find out more at www.ncwit.org.